This test is important because it’s good practice for the actual SAT and you could receive a National Merit Scholarship (scholarship given from the NMSC). HOW DO I TAKE THE PSAT? Your school should register you, but just in case, in September make sure you’re registered for the October PSAT. You can prepare by using old PSAT or SAT exams. You can get results which could tell you what you need to study for the SAT. You can then focus your preparation in those areas. You can see how your score relates to other students applying to college. 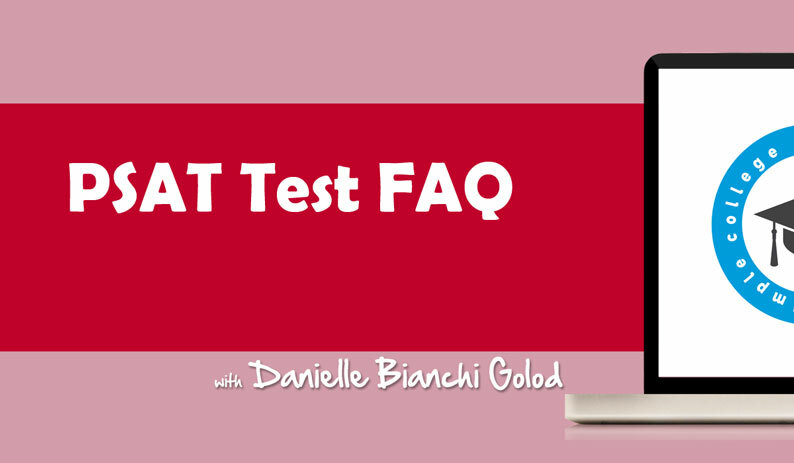 You can familiarize yourself with standardized testing and with the kinds of questions you’ll see on the SAT. RESULTS from the PSAT will give you and your counselor a good idea of your strengths and weaknesses. If you took your 10th grade PSAT, did you do better this time? What do you need to work on before you take your first SAT? BOOKS for PREP? What book should I use to study for the PSAT? There are a few PSAT study guides out there, but the best way is to study old PSAT tests–especially the one offered by your school/what you get in the mail from the College Board.